Armenta triplet enhancer from the Old World Collection. 18-karat yellow gold and blackened sterling silver hardware. Oval silhouette with white enamel and four diamond crivelli. 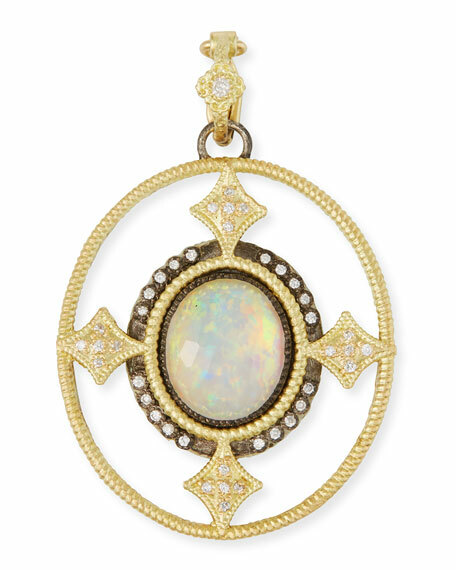 Bezel-set ice quartz, opal and mother-of-pearl triplet center. White diamond bale, inner trim and crivelli stations.